Did you wince over Christmas as your home broadband was selfishly commandeered by friends and family to upload Instagram Stories of presents being unwrapped, stream movies from Prime Video, and video call those who couldn't make the celebrations in person? Well now is a good time to to upgrade that connection. As if by magic, BT just unleashed a seriously impressive fibre broadband deal that includes a £90 pre-paid Reward Card that can be spent on whatever you want, just like actual money. Not only that, but BT is also throwing in a free 12-month membership to Amazon Prime. This subscription service includes free one-day delivery on millions of items, free two-hour delivery in some cities, and access to thousands of TV shows and movies on-demand via Prime Video, including exclusives like The Grand Tour and Mr. Robot. 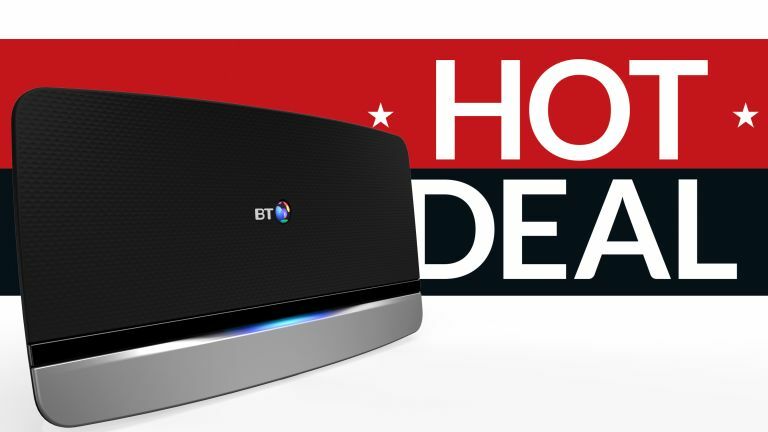 Amazon charges £79 a year for a Prime subscription, so that's a pretty generous freebie with this latest BT broadband bundle, especially when you add £90 of free money. As for the fibre connection itself, you'll enjoy an average download speed of 50Mb, which should be more than enough to binge a few boxsets in Ultra HD, video call relatives in remote locations, ensure Alexa always answers promptly, and more. The 18-month contract includes unlimited usage, so you don't need to worry about any additional charges – no matter how much bandwidth you race through. On top of all that, BT is also waiving their usual one-off activation fee, with new customers left only to stump-up £9.99 in postage costs for their new BT router. The Reward Card that BT sends out is a pre-paid credit card that can be used anywhere that accepts Mastercard. For those counting, that's around a million shops, cafes and restaurants worldwide, so you shouldn't find it difficult to find places to spend your free money. It's an old-fashioned chip and pin card, rather than contactless. But do make sure that you claim your Reward Card within three months of installation, otherwise you'll lose out on all that lovely, yet plastic-based, cash. If you're not in a fibre area, or your speed requirements are just lower, we've got a Plusnet broadband deal you might like.